Senyorita Lakwachera: Lime 88 home of Street food na Pinasosyal. 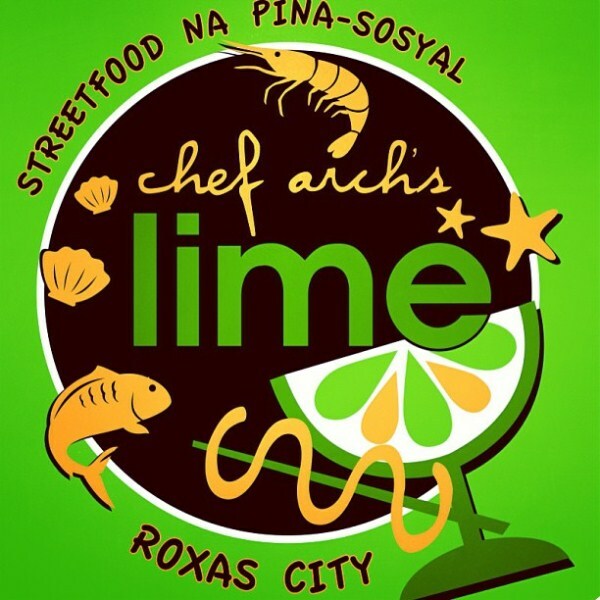 Lime 88 home of Street food na Pinasosyal. I myself can rarely be found in a resto-bar type of food house since I bid goodbye to my drinking and smoking habits. It’s a personal choice with the exceptions to the big events like company party. That’s why the first time I saw the place, I unintentionally misjudged it. The photo of the place looks like a common drinking (inuman) place – it’s a house turned resto by the way so there is an air of barkada nights at the friends’ house. I browsed their Facebook page and saw the concept really interesting, the usual street food presented and cooked in a cleaner and classier way. To give you an overview, it was Chef Archie who opens this store in 2007 together with his brother Vince and two friends Ian and Eugene. Chef Archie is also the chef behind Paseo Uno, Mandarin Hotel, Hagen Daz, Max Brenner, Olivers, Tea n Therapy and Blue Steak and Bistro per reading. Giving all those point I felt like I should not miss this chance to taste what Lime 88 can offer and indeed it was such an amazing experience. Ready to see your common street food in a way you’ve never seen before? - Their own version of kwek-kwek or tokneneng, they twisted it by changing the coating and adding soy marin glaze. Quail Egg Tempura turns out to be very good when dipped in both Soy Marin Glaze and Sinamak. -This dish is really genius; it made me think how they were able to remove the shells without destroying the entire egg? They must have paid high attention on the eggs’ age. This taste good too. -Some got reminded about their college drunken days in low budget. -This is composed of assorted barbeque, highly suggested for groups. Everything looks and tasted ordinary until peanut sauce comes to action. The first batch is almost good enough to impress me but Chef Archie and Vince still has a lot to offer. Then Second batch of twisted dishes came in our table. -Stir-fried Mussels with white wine and bacon. -Not your ordinary street food and pizza, it is topped with Longganisa,tuyo,salted egg and kesong puti. Though I am impressed with the idea, I find this dish salty. -This is a bit lighter than the first one, it’s just that the chicharong bulak is hard to chew, too bad for my weak tooth. -This one is amongst my favorite for the night – I bet my sisters would love this. -I believe that this dish can go further with improvement. I love the Asian hollandaise and Quali Egg but the Kangkong has an obvious bitter taste which I think is common to leafy vegetables when overcooked. -This tops my favorite list. For me, the creamier the better (wag lang gawing sabaw ang cream ;o). I love the concept – the plating is quirky. You should try this out when you visit. Now here comes the desert. This is the part that awakens the sweet tooth inside me - right price for a fair slice of delicious cakes. I am arranging it base on my favorite from most to least. Desserts are not included in their menu but you can order ahead. -PS: Salted Caramel is not really "least" it’s just that the three others stands out most. Lastly is their cocktail that completes the night of interesting idea that twisted street food and bringing them to another level culinary innovation. Closer view of License to Chill and Tiramisu Martini. Later, tea was served, its aroma tones down everything. Thanks Chef Arch and Vince as well as to foodie bloggers that I’m with that night. It’s a wonderful experience of discovering another good place to chill and get full. Lime88 is located at 160 San Rafael St. Mandaluyong City. (02)4002268 09053127799 opens at 5:30pm to 2:00am Mondays to Sundays. For latest menu and updates; follow them on Twitter and like their Facebook page. 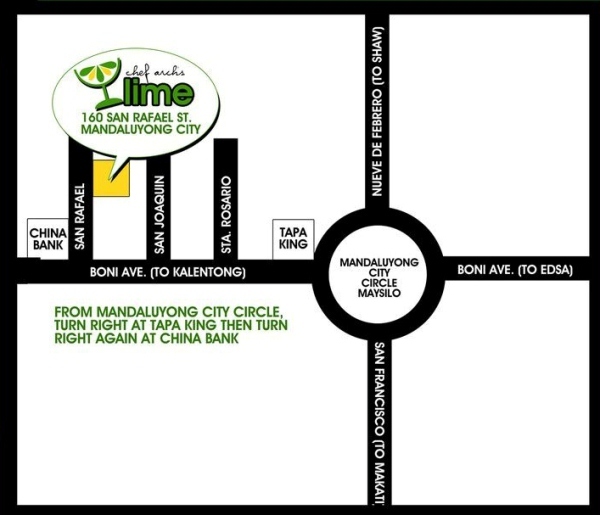 Map guide on getting to Lime 88 Mandaluyong. 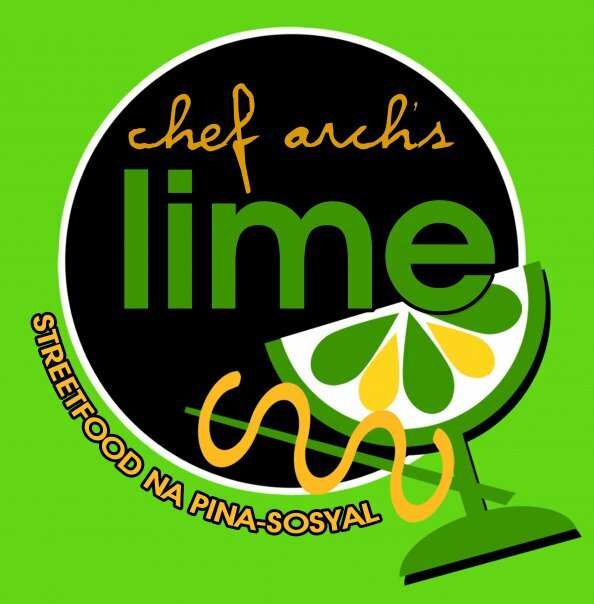 For those who are in Roxas City, Chef Arch’s Lime 88 just opened their branch there last May 1 at Dumulog, Roxas City, Capiz. Oh wow, everything looks just fantastic! Definitely made my stomach rumble. i love lime 88! their osso bucco style kare kare is my favorite. hindi pa ako napahiya kahit minsan sa lahat ng ni-recommend-an ko nyan! their dinakdakan is also very good! may salted caramel cake na pala sila. will try that soon. happy weekend and more food adventures to you! The concept is amazing! I love on how they put a twist on streetfood and the food presentation is plus factor! A must try! Thank you for sharing!